The future of sustainable heat supply belongs to wood pellets. It is a modern and environmentally friendly fuel, that is making a valuable contribution to our environment, is independent from crude oil markets and an alternative to conventional energy sources. Wood pellets are a true eco-friendly and carbon-neutral natural product of excellent quality. They emit only as much carbon dioxide, as is absorbed by the tree during it’s growth period or as much, as would be produced during their decomposition. 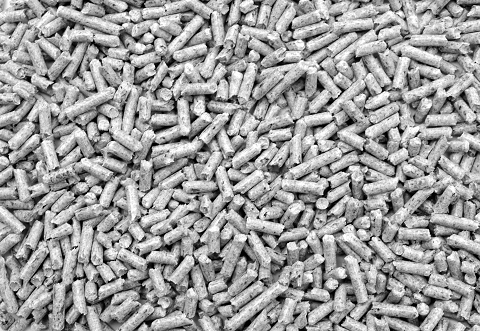 Wood pellets are made from dry, untreated wood refuse like sawdust and wood chips, and have a diameter of 6 mm. They are pressed together under high pressure without addition of chemical binding agents. The high temperatures during the pressing process are responsible for the liquefaction of lignin in the wood, which serves as a natural adhesive and provides wood pellets with their consistency. 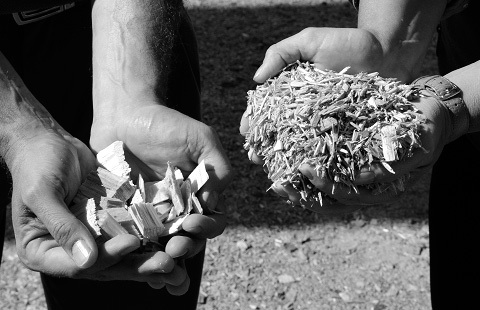 The quality of the wood chips used has an essential role in manufacturing a premium-quality final product. The certification program defines the three quality classes with varying requirements for raw material used and for properties of the pellets. Benefit from the best burning characteristics and a controlled pellet quality. The pellets offered by us comply with the strictest quality requirements and ensure the best product characteristics. 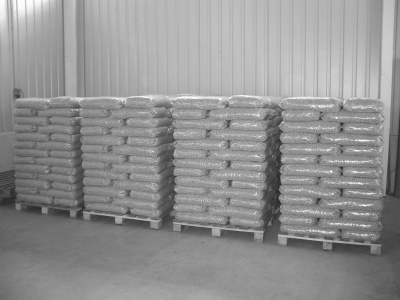 Our pellets are available in sacks of 15 kg on pallets (65-70 sacks per pallet) or, optionally, in flexible intermediate bulk containers (FIBC or big bags) of 1000 kg capacity. Please feel free to contact us using our online form.